try ANIMATOR CROSS FADE and call the Mechanim states by name. Playmaker Help / Re: Best practices for animating characters? a shader issue was preventing me posting the actual "game". Solved now.... There's no interactivity (and it will make any bell sounds forever, LOL) but I've cleaned up the FSMs and separated the collision FSM from the movement FSM, and that has made everything run smoother. Playmaker Help / Re: Character Controller / Character Motor jump causing issues. I think the "transition duration" of Animator Cross Fade is a percentage of the animation length, not an actual real world time.... I could be wrong. There are a few actions where the "time" setting seems to be relative measurement, not a game constant. In this case, I think the transition setting is analogous to the transition fade time that you can set within a Mechanim transition. (0.25 would be 1/4 the length of the animation, 0.1 would be 1/10th)... again, I might be wrong. Playmaker Help / Re: How do I set a specific sprite frame with the Mecanim Animator add-on? Has anyone tried this product? The demo is not really showing it's potential in a 2D situation.... No reviews. I'm sure I'll come back to it later, but for now I dropped back to Itween. Playmaker Help / Re: When Does a Loop Count Start ? Still just a beginner, but now I am controlling different mechanim states with the FSMs and the swim movement is much better, more intentional.... There's still a few who are dropping out of their Itween/FSM (the "drifters" that slide sideways) moving on to the next FSM while still performing the tween (or vice-versa, not sure which), but I'm kinda happy with this. Now I feel they are showing a little "character" rather than just moving around the screen.... This is my first Unity project that is 100% me, so it's simple but still feels like a milestone. YAY! This animation is for a major theatrical company (video projection that opens Act 1) so there's no interactivity. This isn't the actual music - it was just handy on my itunes, and the screen capture worked out timing-wise... the final version will be under a minute, and it is intended to have some humor (not realistic). For people frustrated with "How do I make my <thing> move..." problems, keep at it. 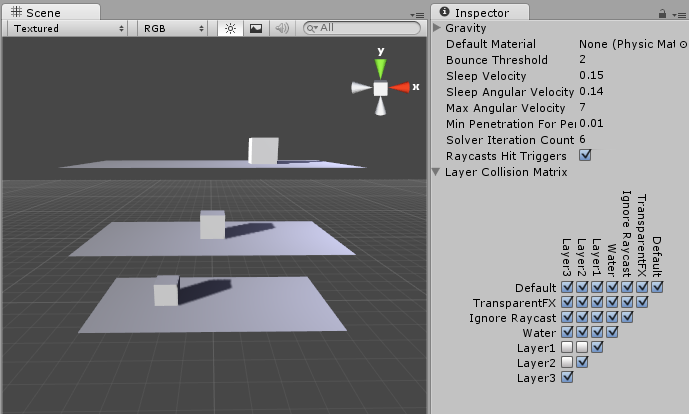 I was going nowhere in Unity for months, now I feel like I've taken my first step... Just keep trying all the actions until you understand what they do. And don't be too clever, do one thing at a time until it behaves exactly as you think it should.... And expect to rebuild it 100 times, which will help streamline it with each iteration. Playmaker Help / Re: MoveTowards a DIRECTION, solution ? I don't think it's Ok to do this. I still wait for someone who knows how to solve this. The sperm move towards the egg. Egg shakes position on collision (this solved a problem where the sperm could collide gently and start pushing the egg without reaction). I'm trying to figure out FSMs that will get each to (sloppily) look towards the egg, move "forward" while wiggle the tail in bursts, then repeat.... I haven't figured it out yet (so advice is appreciated). Playmaker Help / Re: newbie Q - FSM interferes with another FSM? is that the "normal" workaround?